SuperYacht is an ultra-luxurious Mega Yacht, with spacious indoor and outdoor living and dining areas, a swim platform and a brand new massive teak sundeck. 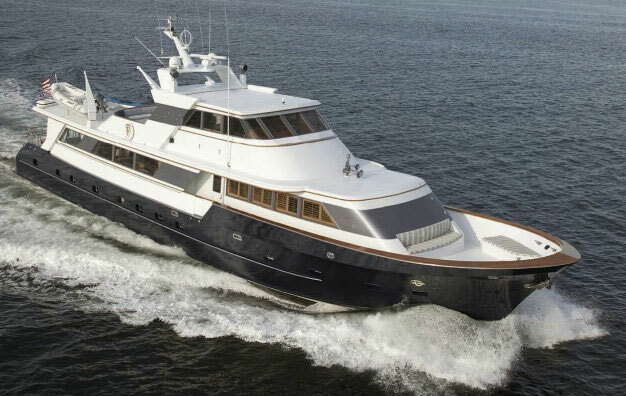 With a maximum capacity ranging from 25 guests for a gourmet sit-down dinner, 30 guests for a buffet dinner and up to 45 guests for a ‘cocktail cruise’, SuperYacht is the perfect charter super yacht for a variety of unforgettable corporate or private events. 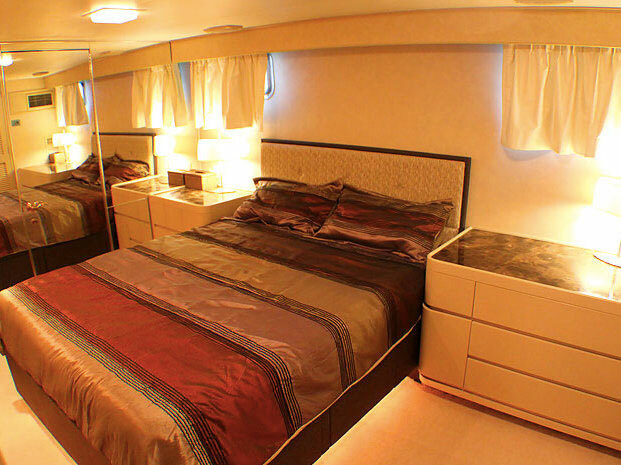 Her 3 elegantly styled ensuite cabins accommodates 6-7 guests and are fitted with modern amenities such as flat screen TV, DVD player etc. 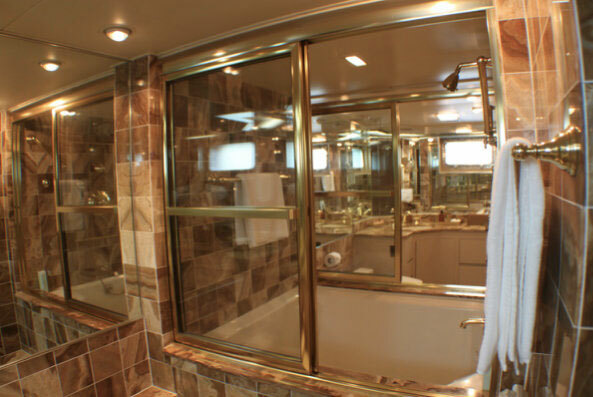 The expansive master bedroom even comes with a ‘his and her’ bathroom. 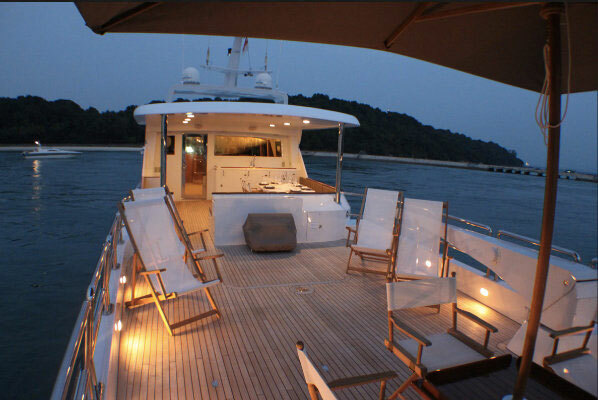 Boat charter for this Mega Yacht is available for day or sunset/evening cruises along Sentosa Island, and anchoring in the secluded Southern Islands a short distance away from Sentosa. With its huge indoor and outdoor space, and its catering partnership with the award winning Saint Pierre restaurant, SuperYacht offers the perfect venue for the ultimate corporate or private function at the marina or at sea. 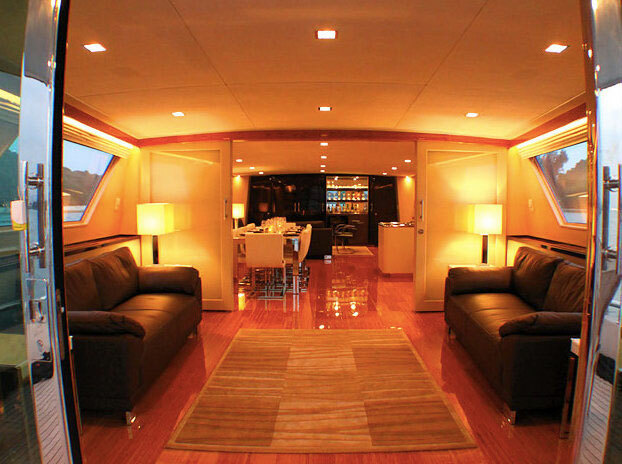 Enjoy the ultimate corporate or private function on board a superyacht! 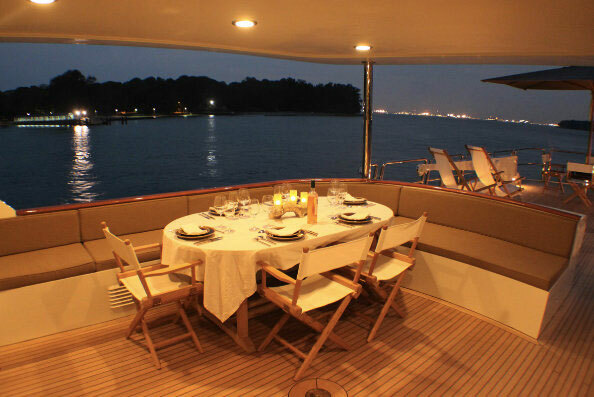 On board, guests will be served by an attentive crew and fine fresh cuisine will be prepared by SuperYacht’s chef. 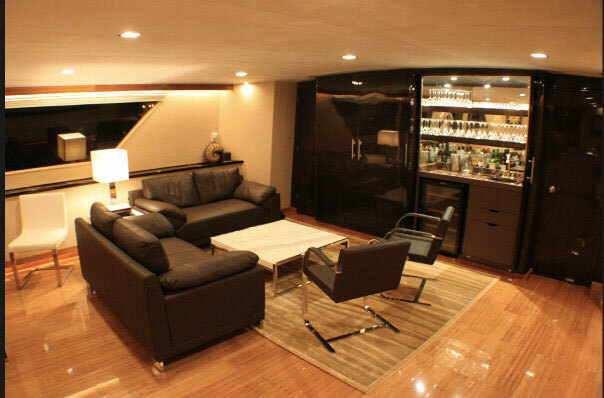 Equipped with water toys such as kayaks, fishing equipment, snorkeling gear, guests can engage in a wide range of water sports and explore the abundant sea life of the underwater world. 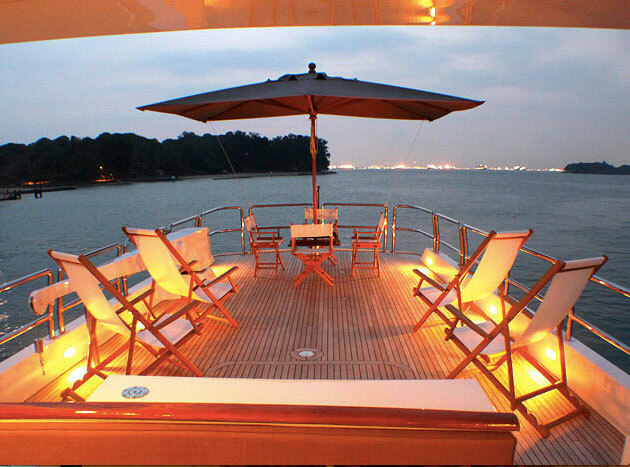 Boat charter Singapore for corporate events can take place on board the Superyacht either at sea or at the Marina depending on the number of guests and the nature of the event.